Taking us into our afternoon giveaway for this Wednesday is Corsair. The company, which provides a smorgasbord of PC components ranging from DRAM to peripherals to pre-built PCs, likes to pride themselves on their high-end components. So I’m sure everyone will be eager to win in today’s giveaway, as the company has sent over some of their best DRAM and a PSU. For DRAM, the company has given us a Dominator Platinum Special Edition 32GB (4x8GB) kit in chrome, a kit so rare that they’re individually numbered. Meanwhile on the power supply front, the company is providing their immensely powerful 1500 Watt (!) 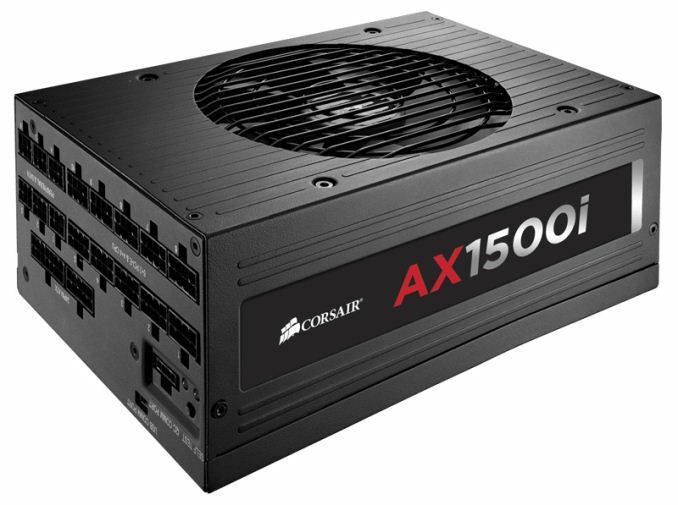 AX1500i fully modular PSU, along with a premium sleeved cable kit to complete the package. 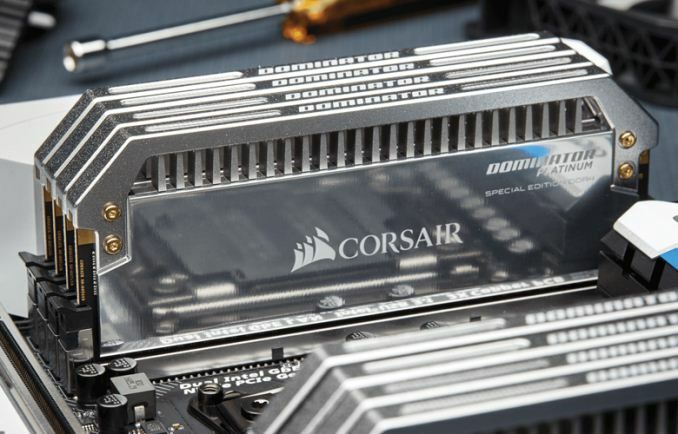 The first item on our list is Corsair’s flagship-level memory kit, the Dominator Platinum SE. This is a 32GB (4x8GB) kit, which runs at DDR4-3200 speeds with 14-16-16 timings, and a voltage of 1.35v. The company advertises the RAM of being able to be further overclocked to DDR4-3600 speeds, if DDR4-3200 isn’t enough. Besides being the company’s fastest memory, the Dominator Platinum is also among their rarest. The company only makes 500 kits of a given configuration and color – to the point where they individually number the kits. The DIMMs themselves feature a sizable aluminum heatspreader (in this case colored chrome) along with a white LED light bar to make the DIMMs quite literally shine. 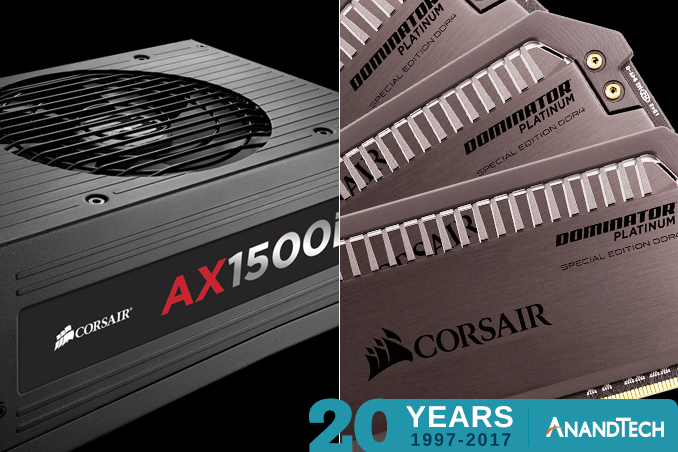 Our second prize of the day is Corsair’s flagship power supply, the AX1500i. This massive 1500 Watt fully modular PSU is designed to be the last word in power supplies, and is capable of powering virtually almost any system that can actually be built. In fact it’s so powerful that to actually get 1500 Watts sustained, it needs a 15A+ circuit that runs at 115V, which is to say that it requires a properly wired outlet and most of a circuit to itself. Yet despite being ludicrously powerful, the PSU is also surprisingly efficient, reaching the 80Plus Titanium threshold. As a result, the powerful PSU doesn’t waste a lot of power even when idling, which can be difficult for high-power PSUs. As our own E. Fylladitakis noted back in his review of this PSU “Corsair has simply tried to create the very best power supply possible, regardless of the cost and market potential. They did succeed on breaking almost every performance record we can come up with for a consumer-grade PSU”. 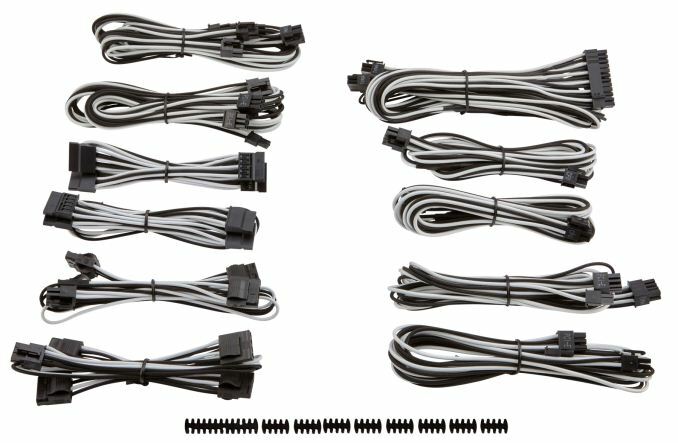 Rounding out the package, Corsair is also throwing in a set of their premium sleeved PSU cables. While the AX1500i already comes with cables, Corsair’s optional cables take things one step further with in-line capacitor and a paracord mesh braiding around the cables.